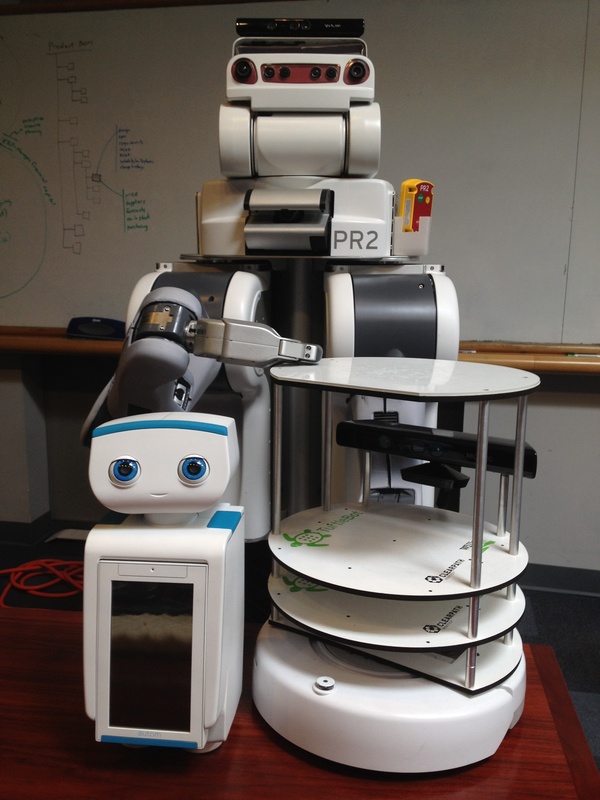 The first time I met a PR2 (personal robot 2) at Willow Garage, it rolled up to me in the hallway, paused for a long moment, suddenly spun its head around, and ran away. While that was human-safe robot behavior, it was also rude. PR2 wasn’t human-friendly… yet. That is a challenge my research has been working to address. By making robot motions more human readable, predictable, appealing, and approachable, it may be possible to improve human-robot interactions of the future to be filled with less anxiety, less awkwardness, and more fluency. I collaborated with Doug Dooley, an amazing character animator at Pixar, and my colleague Wendy Ju, an amazing design researcher at Stanford. We’ve published some of our research together. Our animations showed a PR2 delivering a drink to a table, ushering a person in a certain direction, trying to open a door, and soliciting help from passersby to plug its power cord into an outlet. When robots showed forethought (e.g., scratching its head while thinking about opening the door) and showed goal-based reactions to their success or failure (e.g., looking sad about failing at opening the door), we saw positive effects upon people’s perceptions of the robot’s approachability, appeal, and even perceived competence. Chung, M. J.-Y., Huang, J., Takayama, L., Lau, T. & Cakmak, M. (2016). Iterative design of a system for programming socially interactive service robots. Proceedings of the International Conference on Social Robotics: ICSR 2016. Alexandrova, S., Cakmak, M., Hsiao, K., & Takayama, L. (2014). Robot programming by demonstration with interactive action visualizations. Proceedings of Robotics Science and Systems: RSS 2014, Berkeley, California. Chen, T., Ciocarlie, M., Cousins, S., Grice, P.M., Hawkins, K., Hsiao, K., Kemp, C., King, C.-H., Lazewatsky, D., Leeper, A.E., Nguyen, H., Paepcke, A., Pantofaru, C., Smart, W., & Takayama, L. (2013). Robots for humanity: A case study in assistive mobile manipulation. IEEE Robotics and Automation Magazine, 20 (1), 30-39. Koenig, N., Takayama, L. & Mataric, M. (2010). Communication and knowledge sharing in human-robot interaction. Neural Networks, 23(8-9), 1104-1112. Takayama, L. (2011). Perspectives on agency: Interacting with and through personal robots. In Zacarias, M. & Oliveira, J. V. (Eds. ), Human-Computer Interaction: The Agency Perspective. Springer. Cakmak, M. & Takayama, L. (2013). Towards a comprehensive chore list for domestic robots. Proceedings of Human-Robot Interaction: HRI 2013 (Late Breaking Report), Tokyo, Japan, 93-94. Chen, T., Ciocarlie, M., Cousins, C., Grice, P., Hawkins, K., Hsiao, K., Kemp, C., King, C.-H., Lazewatsky, D., Leeper, A., Nguyen, H., Paepcke, A., Pantofaru, C., Smart, W., & Takayama, L. (2013). Robots for humanity: User-centered design for assistive mobile manipulation. Proceedings of Intelligent Robots and Systems: IROS 2012, Algarve, Portugal, 5434-5435. Goodfellow, I., Koenig, N., Muja, M., Pantofaru, C., & Takayama, L. (2010). 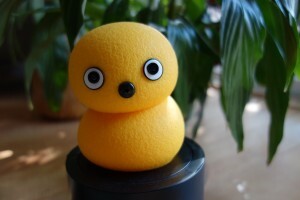 Help me help you: Interfaces for personal robots. Late breaking results of Human-Robot Interaction: HRI 2010, Osaka, JP, 187-188. Takayama, L., Pantofaru, C. (2009). 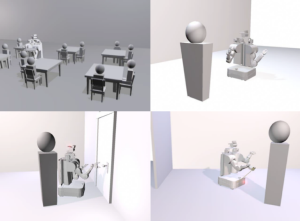 Influences on proxemic behaviors in human-robot interaction. Proceedings of Intelligent Robotic Systems: IROS 2009, St. Louis, MO, USA, 5495-5502. Pantofaru, C. & Takayama, L. (2011). Need finding: A tool for directing robotics research and development. RSS 2011 workshop perspectives and contributions to robotics from the human sciences. Takayama, L. (2009). Toward a science of robotics: Goals and standards for experimental research. RSS 2009 workshop on good experimental methodology in robotics.